If you live on the East Coast, you know the devastation that Superstorm / Hurricane Sandy caused. In my own town, several roads were severely affected - such as River Road, Beach Road, and Ba Mar Community. Over 60 families needed to evacuate their damaged or destroyed homes at the height of the crisis, and we were blessed to participate in the initial relief effort. Read the entire story here. But once the basic needs were met, we turned our heads to organizing a long-term relief effort. This is where Rockland Web Design's ACE Web Marketing System that we've been evangelizing for the past several years comes into play. And what better way to deploy the system than to help people in need? Before I explain how we applied the system to our work to help the Superstorm victims, I will identify what the system entails. You can also learn more about it at Rockland Web Design's site. Website: Control the content of your website with new and compelling offers, events and services that your company knows will be needed. Blog: Continually update your blog with new information about things that you are doing within your business, or even just general ideas about your industry. Something. Anything! Social Media: Only do this step after you post new materials to your website, but once you are done, go on Facebook, LinkedIn, and Twitter, and interact with your friends! Comment on their interests, likes, dislikes, events, happy and sad moments...you know, like a regular human being. I'll repeat that - like a regular human being. Search: The great thing is, if you have done all the steps above, search will happen. You create a buzz about new offerings on your website, and talk about your blog, people will start searching for you, especially in a local area. So how does this apply to Superstorm / Hurricane Sandy? Soon after the crisis, we decided to do some fundraising for the families that were displaced by the storm. You can read about the entire story here, but I'll quickly go over the same exact points I presented above, except to show what was done in each example for this effort. Events pages: To show the local fundraising efforts at restaurants, bowling alleys and bars. Request help page: To allow families a method to ask for assistance. Blog: Halfway through the effort, we wrote that blog post that I mentioned above, about our efforts to help the local market. Click here to read it. Newsletter: We wrote a newsletter - a very short one - and asked over 1000 people on our newsletter list to donate, and linked them back to the helpnorthrockland.org website. 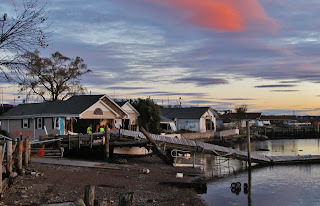 Social Media: In our area, we have a great Facebook Group called the North Rockland Community. This community was started by my friend Diego Aviles, who is a vibrant and active member of the local community, always helping to connect people. There are over 2000 people in the group, and many took to that group to post their wishes to help those affected by the hurricane. 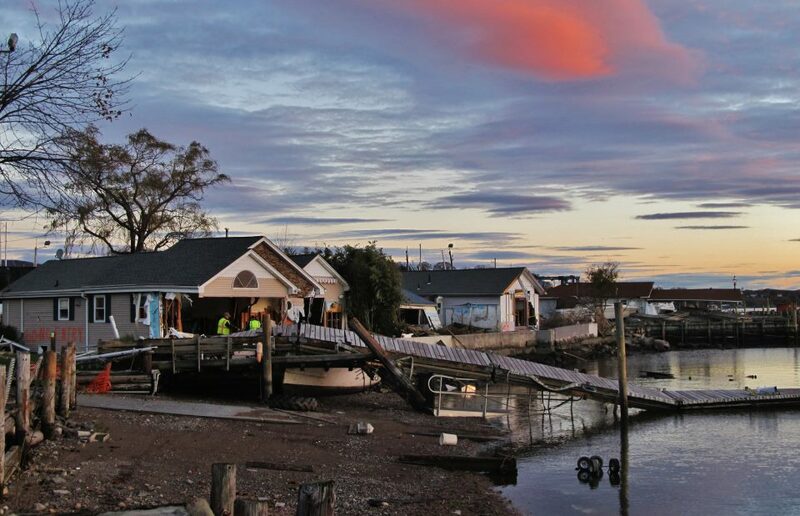 We studied this information, and when the time was right, we posted information about the donation and relief efforts we were doing through the North Rockland Business Alliance. The thing to emphasize here is that we continually pointed them back to the helpnorthrockland.org website, to give the audience a consistent, consistent message. This way, our information did not get lost in the fold. All we had to do was keep providing the link at the necessary times, when people asked for it. That's the point of a website - to create a branded, consistent message. Mind you...we did not just make the information about ourselves. Several entities, such as Immaculate Conception Church, Trinity United Methodist Church, Wayne Hose Fire Company, and of course Stony Point Town Hall were referred to continually throughout our communications. The key was to make it a two way conversation, so that people felt comfortable that there were humans on our end that empathized with those families that needed help the most. Search: The great thing was, we got unbelievable traffic! Google and Bing hits quadrupled, and even media outlets such as the Rockland Journal News, Rockland County Times, and News 12 began inquiring about the efforts. Net result: We raised about $30,000 for the families! Shortly thereafter we began distributing the funds. Families got $200, $350 and $500 checks written directly to them. We also were able to partner with the Stony Point Seals - who jump in the Hudson River each year on Super Bowl Sunday - to raise many thousands more! You can learn more about this Yerar's plunge at The Stony Point Seals Website. In addition, the North Rockland Business Alliance's business mission for 2013 was revitalized, and many former members and prospective members came back to the organization to participate. Finally, the NRBA became part of Rockland County's new Disaster Recovery Coalition, to help create a long term recovery plan for all of Rockland NY, in the event of future disasters. To me, it proves that the ACE Web Marketing System that we painstakingly refined over the past several years works. 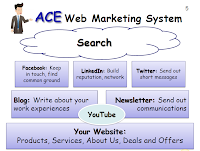 To learn more about the ACE Web Marketing System, go to our website Rockland Web Design. I must emphasize that what I'm describing here is certainly not the only reason why the results occurred. As always I like to say that God had a hand in helping us to do what we could, and guided us as it got stressful. There were so many good people that helped out during the effort. I have an anonymous friend that I am grateful to, as well as several that I can name publicly, such as Lionel Mathis, Alison Bimbo, Robert and Patricia Manfredi, Mark Engelman and Chelle Cordero from Stony Point Ambulance Corp, Trinity United Methodist Church, Stony Point Center, Jean Talamini, Christian Church of Rockland, Supervisor Geoff Finn and so many more. So this case study is only covering a very small about of what happened. And the work will continue for many, many months to come. There are still many families in need, and in some way shape or form we hope to reach as many as possible. Right now, the best thing you can do to help is to learn more about the Stony Point Seals. For your purposes, and for your company, organization or cause, remember to apply The ACE Web Marketing System, or a variation of this system to your work to do good in your community. Always remember who you're working for (those in need), and why you're doing what you do (to help). Aside from a nice system to help organize it all, that is really the driving force behind all the good things that you will do.